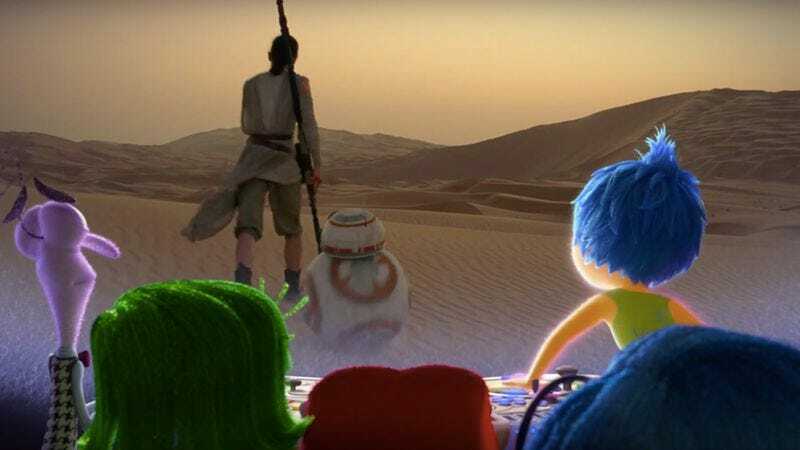 The Disney braintrust has combined two of its big assets—Lucasfilm and Pixar—to create a video of the emotions from Inside Out watching the latest trailer for Star Wars: The Force Awakens. Highlights include buffering making Sadness sad, Anger not being able to wait until the movie comes out in December, and Fear being totally unable to handle the whole thing. It would be easy to write this off as a marketing ploy meant to get the Pixar kiddies stoked for the new Star Wars movie, because it is, but it’s also so legitimately delightful that you can’t really stay mad at it.